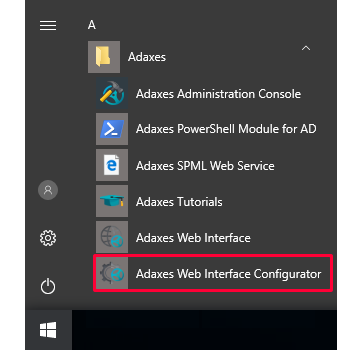 The operations available in Adaxes Web Interface depend on the user's permissions that are granted through Security Roles. If a user doesn't have the rights to perform an operation, it will not be available and even visible to the user in the Web Interface. However, sometimes you may need to explicitly disable certain operations. 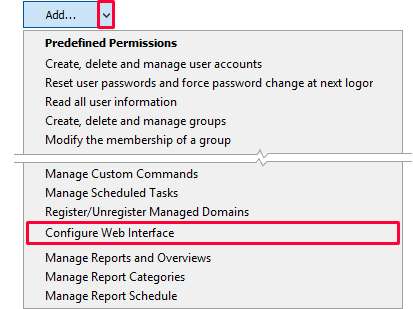 For example, when a user selects multiple Active Directory objects, the Web Interface doesn't check permissions for each of the selected objects and displays all available operations. Also, you may want to disable some operations to simplify the user interface and get rid of the features users don't need. 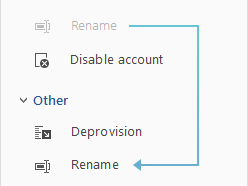 To completely disable an operation, uncheck it in the Operations section. 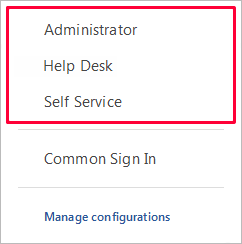 You can configure Custom Commands in the same way you configure other operations. 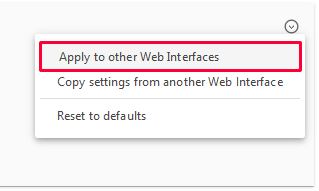 You can disable an operation only for specific Web Interface components. 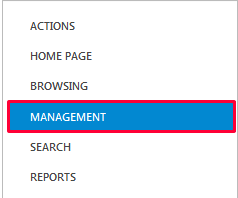 For example, you can disallow the Delete operation on search results. Under the Visibility tab, locate the Grids list. 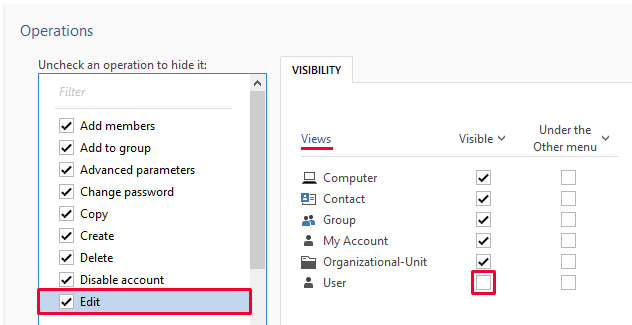 Uncheck the checkbox in the Visible column for the Search component. If you want an operation to be hidden by default under the Other button, check the checkbox in the Under the Other menu column. 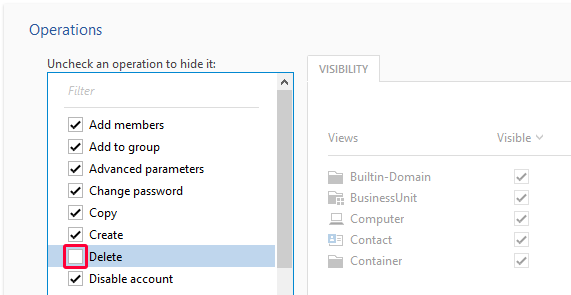 Also, you can disable specific operations in the views used to display Active Directory objects. In the Operations section, select the operation you want to hide. 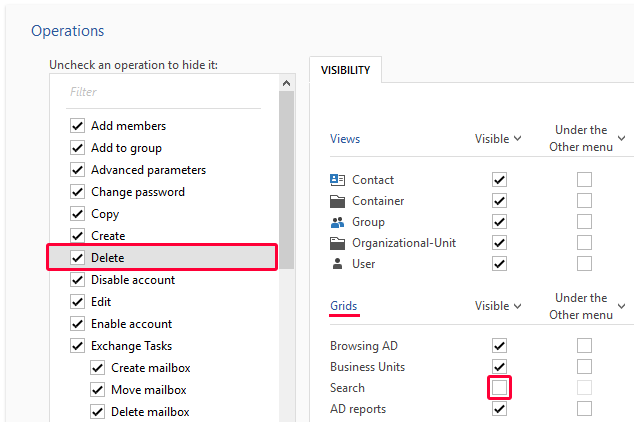 Uncheck the checkbox in the Visible column for the object type you need.